How Do I Add and Manage My Website News? How Do I Specify a Custom Class for a Block or Widget? How Do I Set Up a Video Background for a Block? How Do I Edit the Mobile Version of My Website? How Do I Fix a Menu on Top When Scrolling? How Do I Set Up an Anchor Link? How Do I Change the Font and the Text Size? How Do I Set Up a Feedback Form? How Do I Resize an Element? How Do I Create a Blog Post with a Preview and a "Read More" Button? How Do I Create a Sub-menu With Nested Pages? How Do I Change a Website Design? How Do I Change the Website Header and Footer? How Will My Website Look on Different Devices? How Do I Create a Page Invisible in the Navigation Menu? How Do I Change a Website Color Scheme? How Many Menu Items Can Be Placed Before the "More" Tab? How Do I Create a Text Link or Make Other Site Elements Linkable? How Do I Enable a Website Version for Visually Impaired? How Do I Set Up a 404 Page? There are two types of pages on uKit: ordinary pages and News pages. If the first ones are meant for adding various widgets, the News pages are used for posting news. It’s not possible to add widgets to the News page. 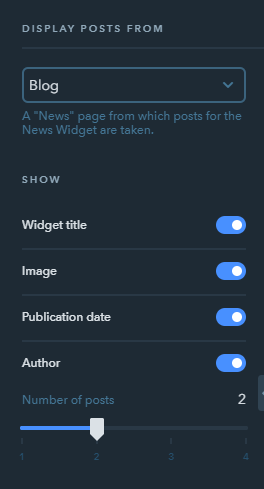 A post can be edited the same way as you edit the Text widget, but a blog post also allows adding images, videos and the “Read more” button that divides a post into the preview part and the full version. 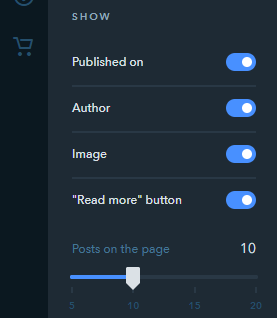 This button will allow you to publish your post. 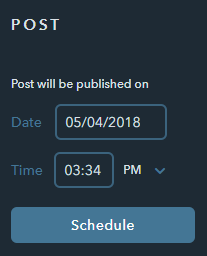 A new post becomes available on the website right away once published, you don’t need to re-publish the website. The date of publication will be the time when the news was actually added. When editing the news, the publication date will change for the time when the post was last updated. For each post, you can add one image which will be considered the main one so this image will be displayed when sharing this news on social media. The image is uploaded the same way as other pictures on your website. The Author field allows you to specify the author of the publication in case you have several authors who publish their content on your website. Here you can also indicate the source of your article. This button brings up the same meta tag settings that are available for ordinary pages. Here you can set up the post URL, Title, Description and Keywords. To save changes, click on the Save button. The YaShare service is blocked on the territory of Ukraine, so if your main audience resides on the territory of this country, we recommend using the AddThis service instead. 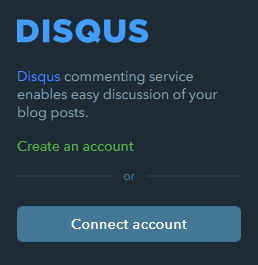 If you want comments on your posts to appear on your website, you can activate the Disqus service. It will allow visitors to leave comments directly on the site. 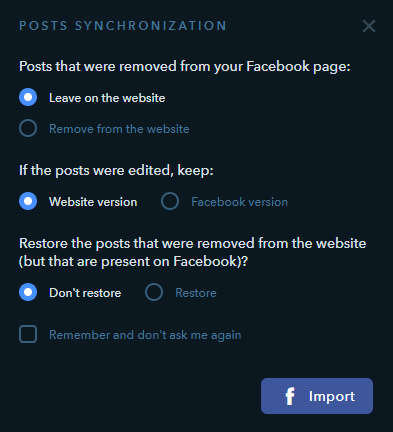 To activate comments, you need to create a new account with Disqus or connect an existing account to uKit. Comments and Share buttons are enabled for all posts on the News page at once. 23 people found this article helpful.